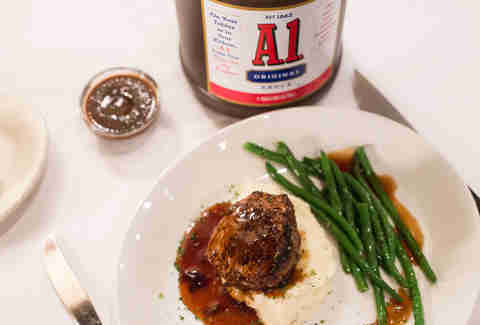 Why Doesn't Anyone Use Steak Sauce Anymore? 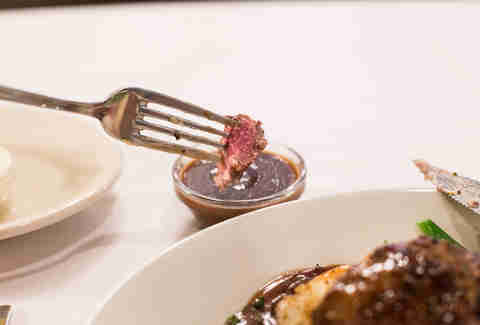 Although it used to be a staple of any steakhouse table, these days steak sauce is like a condiment hybrid between a T-Rex and the type of bull that hangs out in China shops. It's nearly extinct, but when it does make an appearance, it destroys everything in its path. At first I thought this might be my post-millennial food-writer myopia, but after some research it's clear that the steak sauce category itself is in serious danger. 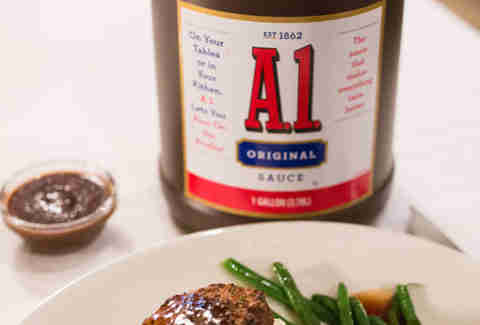 A.1., the definitive brand, actually took the label “steak sauce” off of its products in 2014 with hopes of reaching a broader target of meats. So how did we get here? 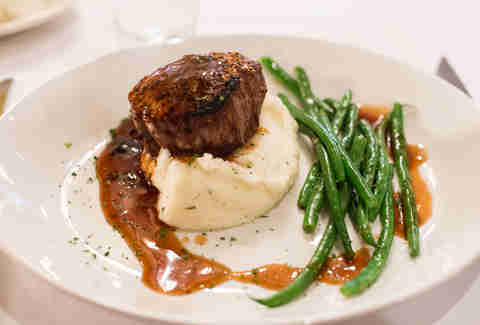 I spoke to several experts to find out just exactly how this happened, then ruined a perfectly good 6oz filet mignon. I don't suggest you try it at home. Naturally the folks from Certified Angus Beef have an interest in claiming that today's beef is of higher quality than yesteryear, but that doesn't mean it isn't true. When chatting with corporate chef Michael Ollier, he stressed that what was on the table at steakhouses in the '70s doesn't hold a romantic votive candle to what's being served today. When CAB launched in 1978, it was the first branded beef company in the world, but it's now joined by over 100 others who all set distinct quality benchmarks on their products that simply didn't exist for older generations of cattle. He thinks that the more heavily marbled meat has shifted diners' tastes. “Before, you were masking something that was inferior, but as people gain a palate for higher-quality beef, they're more hands off and letting the flavors of the beef sing,” says Michael. “Or, they're finding more adventurous ways to balance a fatty cut like a ribeye,” he says, citing the popularity of sauces like chimichurri. John Tesar, the celebrated chef behind modern Dallas steakhouse Knife, doesn't pull any punches when it comes to his distaste for steak sauce. “For an aged steak, it's almost sacrilegious to put sauce on it because you're missing out on the whole process,” says John. The move away from steak sauce also lines up with the trend of chefs as “compositionists” rather than just cooks. There's an increased respect for the plated dish in general, which has also changed the value perception -- diners understand that they're not just paying for the protein, but the preparation. Branding like CAB also plays into this equation, in that it feels more appropriate to douse a generic piece of meat in sauce, but less appropriate when the beef has a name. Legend has it that A.1. was originally a sauce made by King George IV's personal chef. The sauce earned a royal pronouncement as “A.1.,” and the rest is the type of history that a millennial gives absolutely zero shits about. This type of old English folklore carried weight to older generations, but kids these days are more interested in the story of a Vietnamese immigrant who bottled a Thai Sriracha sauce and slapped his zodiac sign on the label. At 31 years old, I can attest that acting like a 40-plus male seems like just about the worst thing in the world, and I can't imagine anyone younger than I am having a bottle of this in their fridge. As a child I was a picky eater, but loved dangerously rare steaks. At Outback, my dad would jokingly ask the waiter to just wave the steak over the flames, then I'd make a little puddle of A.1. in the corner of my plate and dunk the barely cooked filet into that sickly sour well. 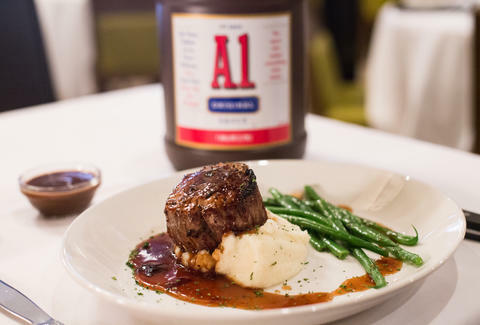 To find out if the mainstream had really turned on A.1., I hit up a local chain steakhouse to relive my youth with a filet mignon lunch special. When I arrived there was no steak sauce on the table, but with the type of hospitality that only comes from people who serve overpriced tenderloins to businessmen, my waiter happily obliged my request. He even brought out a gallon-sized container for photo purposes. But despite all the accommodating, he quickly threw A.1. under the bus. In his two months at the restaurant, only one other customer had asked for it, and even that was more than he'd seen at his previous steakhouse gig. Just asking for steak sauce was already embarrassing, and using it was even more so. I felt like everyone was watching me, as I ruined 6oz of presumably Select beef by dunking bites into a ramekin of sauce that black-holed all the beef flavor and replaced it with an encompassing sourness that actually made me physically pucker. Dan Gentile is a staff writer at Thrillist. One perfectly good steak was harmed in the making of this story. Follow him to beef atonement at @Dannosphere.